Reconciling Saints: RIP Indie 103 - BOOOO!!! 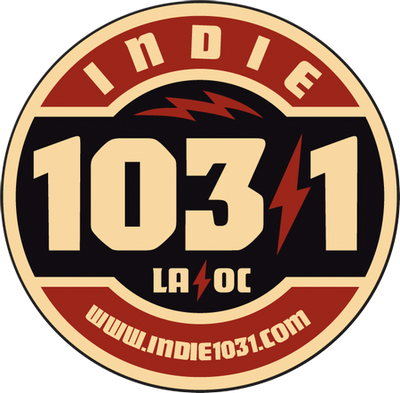 My favorite radio station in the WHOLE WORLD shut down last week - LA's Indie 103.1. Good 'ole London told me about it as we were both fans. I'm horribly sad and you should be too, even if you never listened to it/ heard of it before! - They had my FAVORITE show Big Sonic Heaven with Darren Revell (who also spun at the Good Luck Bar on Thursday nights) Mon- Thurs. They gave voice to the voiceless and kept things new and crisp as well as playing the stuff that you'd never thought you'd here on the radio/ haven't heard in FOREVER. It is with great sadness that I post this, but with the hope of being able to pass on to all of you a NEW way to listen to a great radio station that is having it's go to do it their way over the internet. Please support them! The message I am posting here is no longer up but you can see the google cached link here. Indie 103.1 will cease broadcasting over this frequency effective immediately. Because of changes in the radio industry and the way radio audiences are measured, stations in this market are being forced to play too much Britney, Puffy and alternative music that is neither new nor cutting edge. Due to these challenges, Indie 103.1 was recently faced with only one option — to play the corporate radio game. This could only be done on the Internet, a place where rules do not apply and where new music thrives; be it grunge, punk, or alternative - simply put, only the best music.For those of you with a computer at home or at work, log on to http://www. indie1031. com and listen to the new Indie 103.1 - which is really the old Indie 103.1, not the version of Indie 103.1 we are removing from the broadcast airwaves. It's a sad day indeed, folks! But it's on te interwebz. A GOOD THING, no? YES this is good... but DAMN... they were a damn fine radio station... and we all know that the LA radio market needs a good radio station.